Sodium Lauryl Ether Sulphate (SLES) is a surfactant widely used for the manufacture of cleaning products, soaps, shampoos and even toothpaste. Thanks to its capacity as a wetting agent and emulsifier, it is also used in the cosmetic and dermopharmaceutical industry. Traditionally, SLES is supplied at 70% or 27%. The viscosity of the product at intermediate concentrations increases significantly and it becomes difficult to handle. Purchasing the concentrated product involves significant financial savings in product haulage and storage costs. 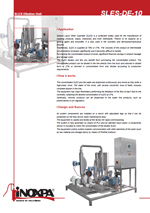 The SLES dilution unit lets you benefit from purchasing the concentrated product. The concentrated product can be diluted in the line directly from the truck and stocked in diluted form at 27% or stocked in concentrated form and diluted according to production requirements. End product free from lumps and air in the line. Savings on space and product storage costs. Amortization of the equipment in a few months. Concentrated SLES is more resistant to microbiological attack and has fewer impurities. 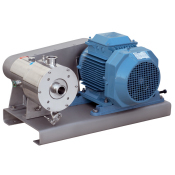 The concentrated SLES and the water are dispensed continuously and mixed as they enter a high-shear mixer. The stator of the mixer, with several concentric rows of teeth, ensures complete dilution in the line. 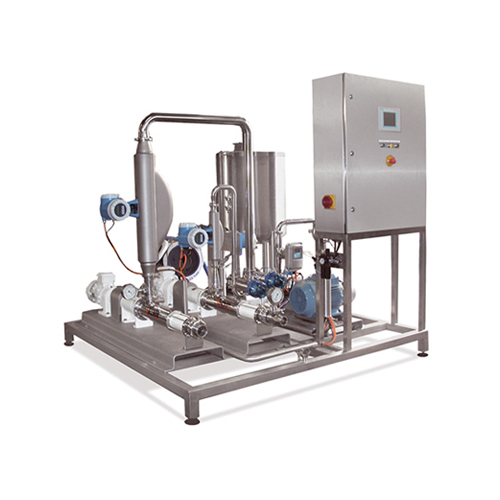 The equipment has mass flowmeters performing the feedback of the flow of each fluid to the controller, obtaining the desired concentration of SLES at 27%. Optionally, minority products can be dispensed to the water line products, such as preservatives or pH regulators. All system components are installed on a bench with adjustable legs so that it can be positioned on the floor and to make maintenance easy. The equipment is cabled and tested at the factory for rapid commissioning. The system is fully automatic by means of PLC and an operator touch panel. A conductivity sensor is included to check the concentration of the diluted SLES. The equipment control system enables communication with other elements of the plant (such as raw material and storage tanks) by means of Profinet protocol. Dispensation minority product in the water line. Remote connection to the equipment via Ethernet/WFI. Other options available on request (PLC Allen Bradley, electromagnetic flowmeter for water, heating system for concentrated SLES line, minority product tanks on the same bench).